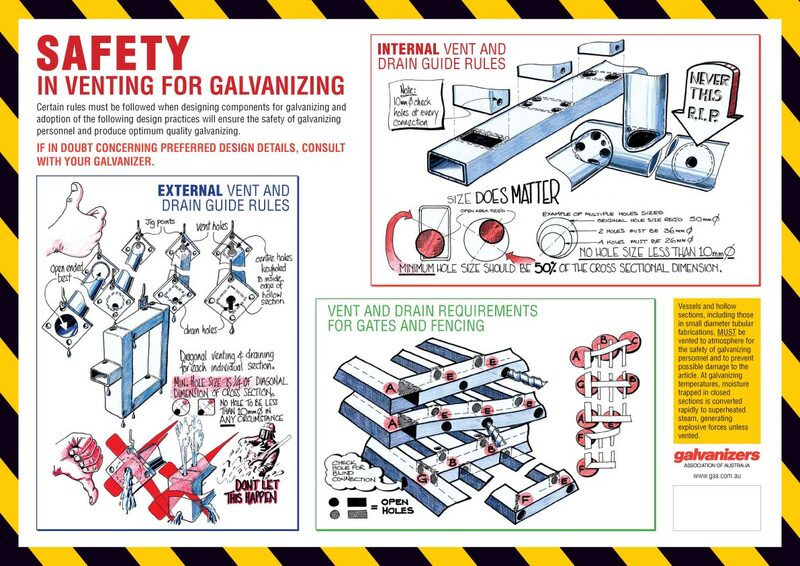 What can be galvanised? All mild steels, some low alloy steels, cast iron and cast steels. Shapes, Designs and weights of items depend on the Galvanisers capacity. 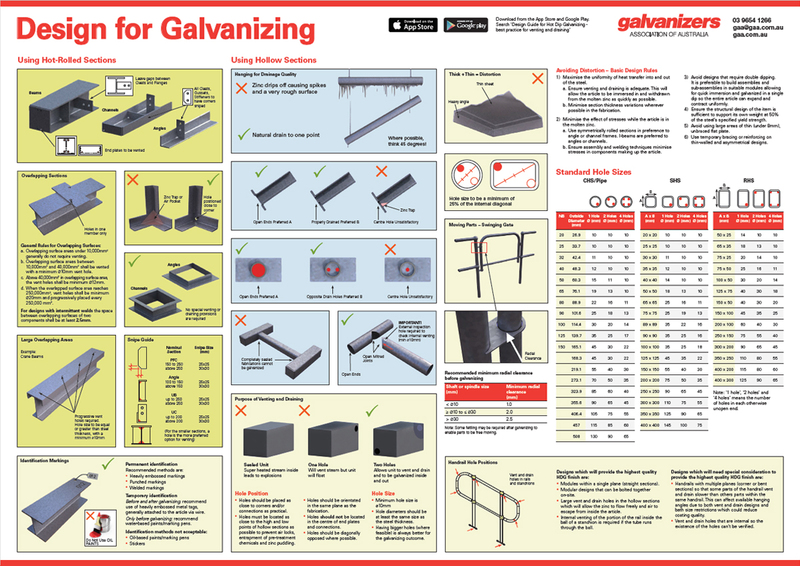 Ensure you discuss your design with the galvaniser prior to construction. Ensure that the goods are free of surface contaminants such as paint and lacquers. If an item requires a re-work and have previously been galvanised there will be an additional charge incurred for the removal of the initial coating. Any items manufactured that have an existing zinc coating will also incur an additional charge as this coating needs to be removed before hot dip galvanising. 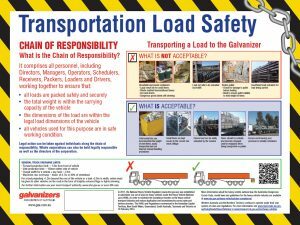 Items will require lifting and turning by the Galvaniser, please ensure lifting lugs are adequate for the weight of the item. 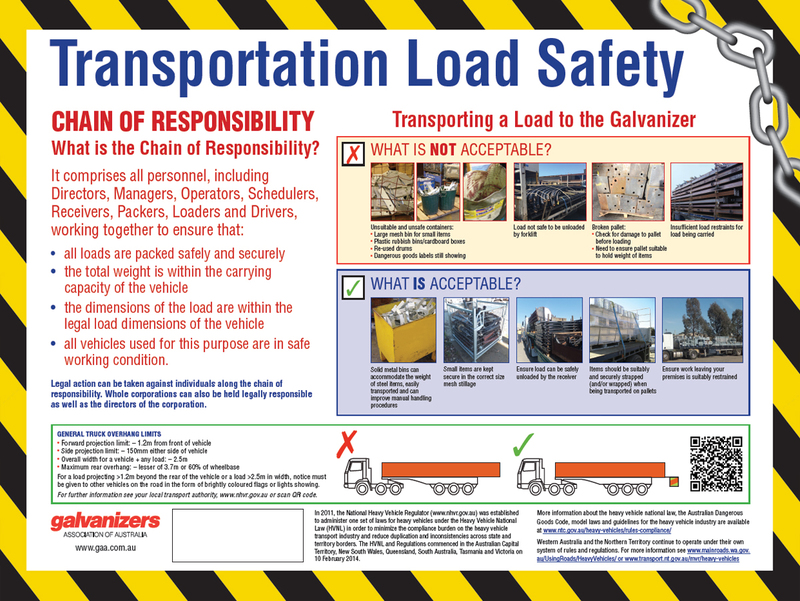 When sending your goods to the galvaniser, please ensure that the goods are suitably packed. Eg can a forklift lift the goods safely and are they suitable for Road transport. 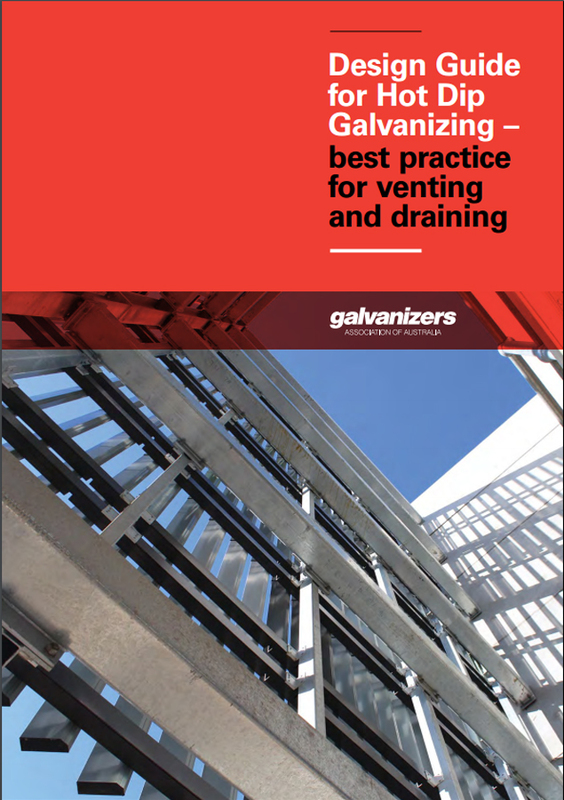 In order for an item to be galvanised the structure must be suitably designed for the process.That is it must have provision for ventilation and drainage to occur throughout the dipping process. Overlapping surfaces are to be avoided. This will almost certainly occur when one plane of the item is very stiff and the other not. Try to avoid large unsupported areas of gauge sheet as they will most certainly distort.